There was such a great response to my wool crepe plug, that I thought I wouldn't leave you hanging without some tips and tricks for using high end, high quality fabrics. Expect more about fabric/fiber types and also instructions for how to use them and what to watch out for in future posts! Today, I thought I would share my current sewing project with you and also a tip. 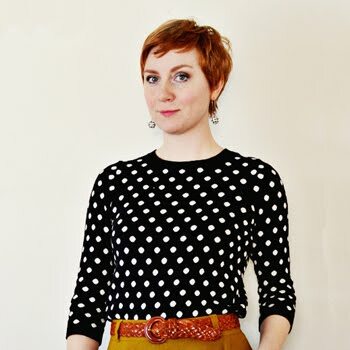 I'm working on the Hollyburn skirt here (which I've made several times before and boy, do I love this pattern!) and I'm making it out of this saturated dark mustard wool crepe. I'm so excited to show off my finished Hollyburn! Yay! 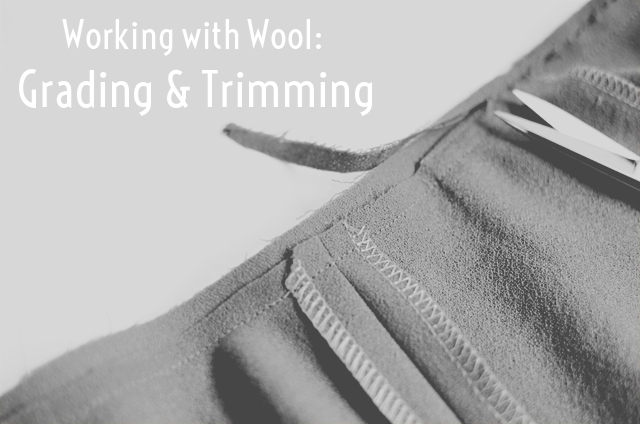 OK, anyway, let's talk for a second about a technique that you'll probably want to use when you're working with woolens (isn't woolens the best word ever?). I talked some about wool crepe as a textile and cloth in my last post. It's usually a medium weight fabric and it has fantastic drape and it loves being steamed and pressed (it's kind of magical actually the way it loves this - and yes, I'm certifiably crazy). It's a very forgiving cloth and its very easy to use in a myriad of projects. One thing with wools though is that they are most definitely thicker and beefier than say, your average cotton. Since I do jackets and coats quite a bit, I've learned the value of trimming and grading seam allowances and that's what I'm going to go over today. The idea of trimming and/or grading is simple. The entire concept is to cut down on bulk and woolens are/can be bulky fabrics. So, in my Hollyburn skirt, where would this concept be most beneficial? Where would it be needed? Intersecting seams are a good place to start. Also, seams that are going to be encased within themselves - like in the case of a facing or waistband - is another. On Hollyburn, I would be concerned about bulk in the waistband. Note that this is where seams intersect and where they are encased within each other. Trimming and grading is easy really. Once you've figured out the place where it needs to happen, the idea is to make the seams varying lengths (grading) and clip the corners off of the intersecting seams (I call this trimming). I do the trimming first. Intersecting seam? Just clip down to the intersection at a diagonal. You'll be clipping off a triangular piece. Grading comes next for me - though don't feel you have to do this in this order, you can switch it up. Grading is simply making one seam allowance shorter than another. Which seam allowance should get graded down? This is actually the trickiest part. Think about the way the seam allowance will lay when pressed and put into place permanently. The seam allowance you're going to trim is going to be the one that is furthest away from the right side of the garment. 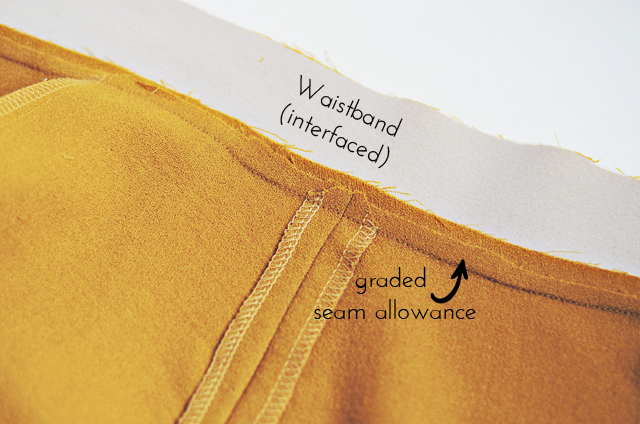 In the photo above, the waistband is interfaced and both the seam allowances are pressed toward the waistband so the seam allowance that is furthest away from the waistband is graded down. Sometimes you have more than two seam allowances in one area - like in the area where a jacket collar connects to the back bodice. There's lots of seam allowance sandwiched in there and so you would cut down these seam allowances each to different widths. Here on my Hollyburn skirt I've just trimmed down one seam allowance to be about half as wide as the other. If I had more seam allowances, I would grade them down to varying widths. Make sense? Since I work a fair amount with woolens, I've also invested in two very awesome scissors to help with this singular process of trimming and grading. Both are Ginghers. One is the 5" tailor points (my personal favorite) and the other is the duckbill applique scissors. I use the tailor points the most. For some crazy reason they really do make the process of grading a lot easier. And the cold compress moment of cutting a big hole into your project a lot less likely - in fact I daresay I've never had it happen to me when I've used these. The duckbill applique scissors I use on squirly fabrics - like silk charmeuse - especially when I'm doing a baby hem. I'll show that to you one of these days. Both are an investment, but both make the job of grading and trimming wools much easier. Well, sewing friends, I hope this helps you out! Enjoy! Great post Sunni. I love any information about sewing with woolens. I also enjoy learning about different textiles as that is an area where I am weak. Bring on the informational posts about different techniques too! Can't wait to see what else you will be teaching us. You are seriously one of the few people who can write things about sewing in a way that makes sense to me. Your invisible zipper post is the reason I came to this site and you keep posting excellent work! Thank you! Thanks for clarifying which seam gets graded. I'm usually scratching my head about it. Here's a little tip for you and your readers... Another excellent tool for trimming seam allowances is a pair of nurses' bandage scissors. They're designed not to cut a patient, so they won't accidentally cut through your garment either. They're easily found at most uniform shops. Thank you for this! Keep then coming because I'm making a wool coat and need all the info I can get! 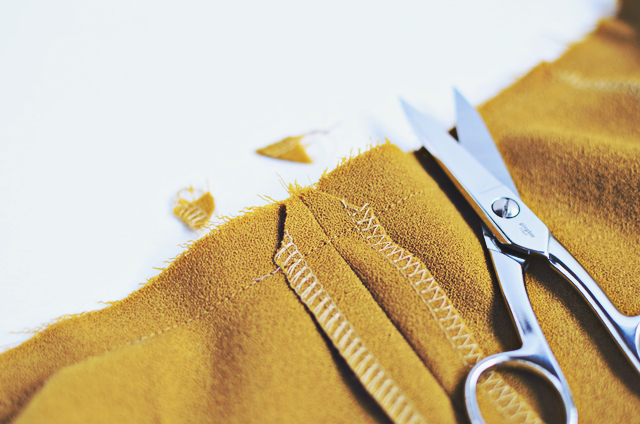 Easiest way to grade seams is to hold your shears at an angle and cut both sides of the seam allowance at the same time. The bevel on the shears' blades automatically cuts one seam allowance a wee bit more than the other. I use those duck billed applique scissors all the time for bra making. A dream tool! 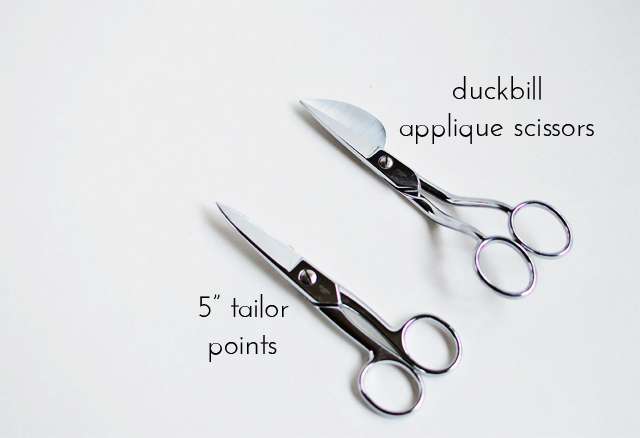 i've been wanting to get some of those duck bill scissors! it's amazing how much of a difference graded SA's make, though i always forget which one to cut shorter. can't wait to see the finished skirt! This is great! And I'm really excited by the prospect of more posts like this! your tutorials are so clear and direct! I love them. I just had to chime to say, you aren't crazy, it IS magic the way wool loves steam. It's like sculpture + delicious fabric! That definitely = magic.